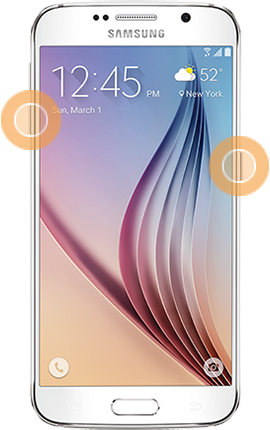 Given the fact that the Galaxy S6 is designed with a non-removable battery, removing the battery is no longer an option in case the device suddenly freezes or the touchscreen becomes unresponsive. Responding to this issue, Samsung integrates a notification telling users what to do in case their Galaxy S6 or S6 Edge freezes. It says that if your device is unresponsive, simply press and hold the Power key and the Volume down key simultaneously for at least 7 seconds. Doing so will restart or reboot the device. This performs a simulated battery disconnect. This process is also referred to by experts as soft reset or force reboot. It's a widely used method to deal with various issues on a wide range of Android devices including the Galaxy S6 and S6 Edge. Samsung has likewise flagged this as a Help Advice Tip. Performing a soft reset or force reboot will power your phone off and back on without affecting any data stored on it. Furthermore, Samsung strongly discouraged users from attempting to remove the battery from the device as doing so may damage the battery and could cause burning.